I received this email from Colin and Bonita after I performed their wedding ceremony at Torre Abbey in Torquay. Even though it rained all day the couple glowed with love and happiness throughout the ceremony and the rest of the day. It was a privilege to be a part of their day. A single rose has always meant only one thing. 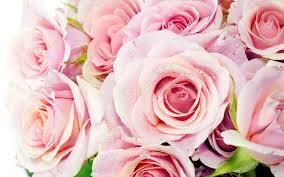 To give a rose is to say “I love you” Please take these roses and exchange them. In so doing, your first gift to each other will be the gift of love. My wife Bonita Matthews and I were introduced to Sarah by a mutual friend. Following our first meeting to discuss our wedding ceremony, we knew that Sarah would be perfect to deliver exactly what we wanted. Sarah took time to get to know us so that she could provide us with a very personal and bespoke service. Our ceremony was wonderful, beyond all our expectations. We have been inundated with comments from our guests commending Sarah on what a relaxing, enjoyable and memorable experience the ceremony was. Thank you Sarah……beautiful and perfect in every way.